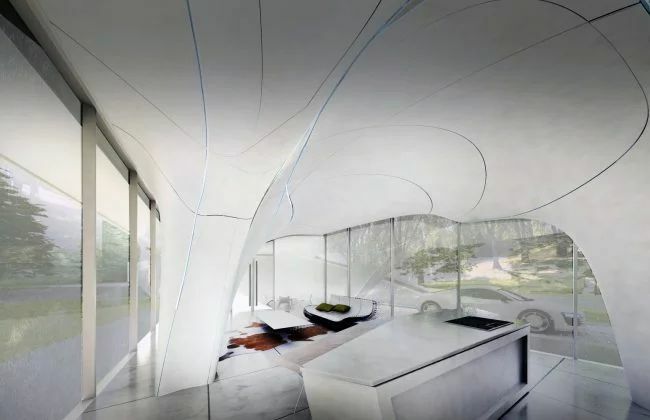 The American company WATG Urban, specializing in the creation of projects of houses with the help of 3D printing, reported that it is moving to business and will very soon start printing habitable dwellings. Due to the use of innovative technologies, specialists were able to create complex architectural forms, which are often limited only by the imagination of the creator. The startup is going to make modern homes, using inexpensive materials and affordable construction methods. Three-dimensional printing allows the startup to save construction materials – when creating test elements of beams, walls and ceilings, specialists were able to achieve the best ratio of price and quality of products, carefully studying their strength and experimenting with cement, plastics and gypsum. Now a curly beam created by the technology of the startup weighs several kilograms and can withstand up to one and a half tons of load, and gypsum foam protects it reliably from fire, therefore it is planned to be used for fireproof finishing of walls and ceilings. Negotiations with local authorities are now under way and the necessary documents are being prepared. The preliminary cost of the project was not disclosed. Meanwhile, Russian and European companies have long been printing houses and offices. The Russian company creates experimental round houses. The production of houses has not yet been delivered to the stream, but the price of experimental housing is about half that of a similarly built house built in the traditional way.